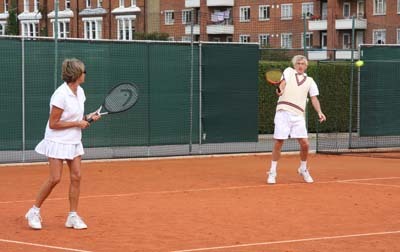 Queen’s Club hosted the annual Feltmakers’ Inter-Livery Tennis Tournament and provided a stunning location and first class facilities for the event. This year provided some top quality tennis and great excitement in the closing stages of the tournament. We are seeing an encouraging influx of new teams and younger players which has raised the standard to a very high level. Both Feltmaker teams reached the closing stages of the main competition. Feltmaker Gilly Yarrow and Howard Rudebeck battled valiantly into the Semi-Finals and Christopher Wood, Upper Warden Susan Wood’s son, and Francesca Warner reached the Quarter Finals. The Final of the Feltmakers’ Trophy was an exciting duel between Nick Hollis and Yvonne Burridge of the Leathersellers and the Tallow Chandlers pairing of Alexandra Kurkjian and Rodney Pope. The Leathersellers finally succumbed 7-5 after an epic match which finished at 7pm. In the Plate Competition, last year’s losers in the final of the Feltmakers’ Trophy, Michael Jones and Sally Sawyer of the Vintners, beat new entrants Robert Siefert and Elvira Olbrich of the World Traders. 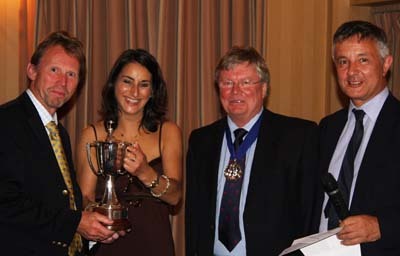 Dinner for 85 players and guests – a record attendance – was held in the President’s room, with the prizes presented by the Master Nicholas Heal. Feltmakers who would like to play in next year’s tournament on Thursday 16th September should contact Dominic Ely, the new Tennis organiser.